Ian Frederick joined Commonwealth Financial Group in 2008. Prior to that he worked in the banking industry. During his two years in banking, Ian came across hundreds of families and business owners that were far from prepared for major life events like retirement, paying for college tuition, or operating a prosperous business. They lacked financial protection for their loved ones in the case of death or disability. In Ian’s experience, this unpreparedness was not a result of having insufficient cash flow, but due to a lack of education and a trustworthy advocate to help with planning. Seeing that the need existed, Ian chose to move away from the corporate setting and start his own financial planning practice. Financial planning is an ever-evolving and complex process. Ian has been recognized as an advisor who is dedicated to educating families and businesses on sound financial principles that help ensure their long-term financial success. His approach to financial planning is to develop personal and lifelong relationships with his clients to understand their unique situations and goals. Clients appreciate his willingness to work collaboratively with their other professional advisors, including attorneys and CPAs, to manage the design and implementation* of a clear, comprehensive plan. Ian holds the Certified Family Business Specialist (CFBS) designation. The knowledge Ian has gained from this certification allows him to understand the emotional issues confronted by owners contemplating a transition of their business. He can identify financial issues regarding succession planning and recognize tax and financial considerations regarding transitioning a business. Ian also works with business owners to develop employee benefits in order to help attract and retain top talent. Ian graduated from the University of New Hampshire Whittemore School of Business and Economics in 2006. 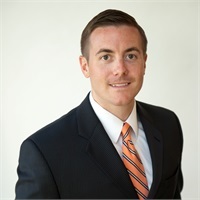 Through hard work and commitment to his practice, Ian was awarded Rising Leader recognition by Massachusetts Mutual Life Insurance Company (MassMutual) in 2010. He qualified for MassMutual’s prestigious annual Leaders Conference in 2011, 2015, 2016, 2017 and 2018. Ian lives in Hampton, NH with his wife, Kelley, and their two sons, Cooper and Ryan. He is actively involved with the New Heights Charitable Organization, NH Seacoast’s largest, most comprehensive out-of-school program for young people between the ages of 11 to 18. In his spare time, he enjoys golfing, skiing, and spending time at the beach with family and friends. * Financial plan recommendations can be implemented with the advisor of your choosing.